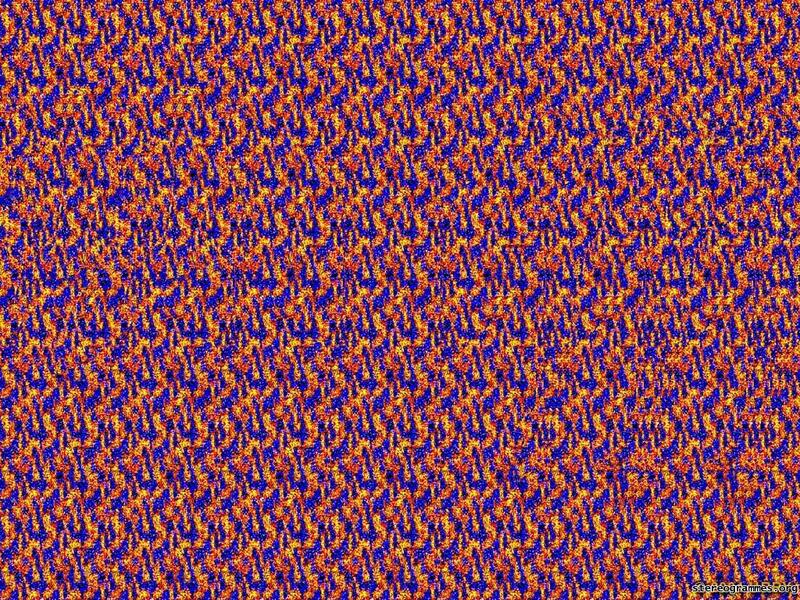 Here are some cool magic eye illusion images. Can remember how to do it? It’s quite easy once you get the hang of it. The best way that works for most people is to hold the picture close to your face (or move your face close to computer screen), relax your eyes, try and stare through the picture, not at it, and then slowly pull away. At some point whilst pulling back you should see what’s hidden within! 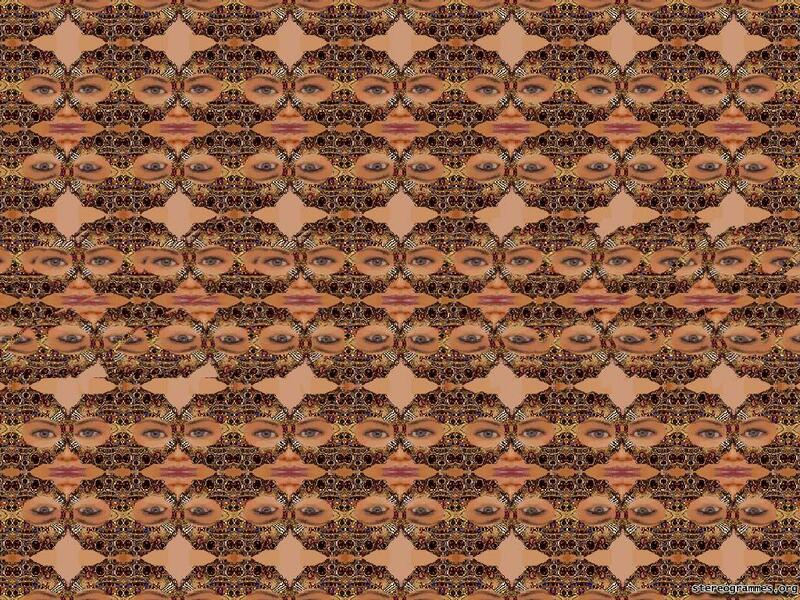 You have to train your eyes though, you can’t just stare at the picture, you have to look through it. Take your time when doing it. It can sometimes help if; once you begin to get the picture, you move it closer and then further away a few times, you should then start to pick it up stronger and stronger. But always maintain composure and don’t let your concentration drop. 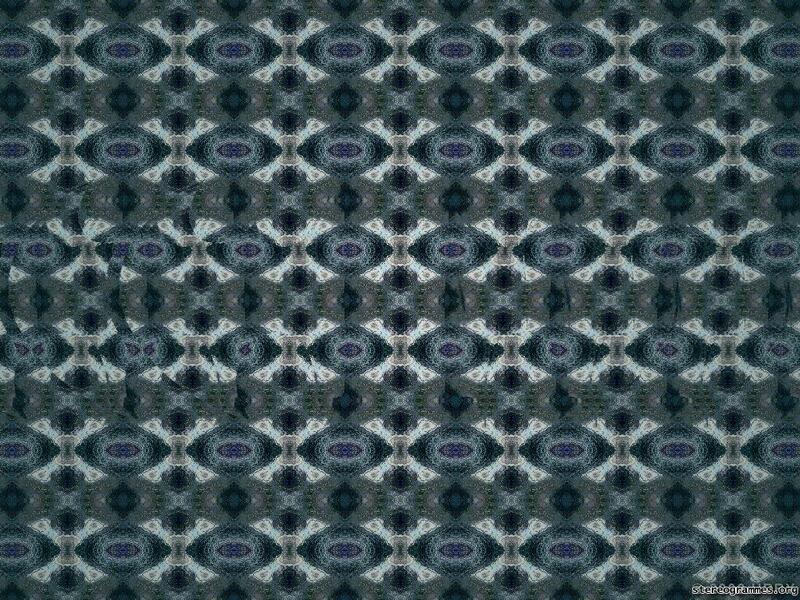 Alternatively try the cross-eyed method, you aim your eyes so the lines of sight cross in front of the image. If you are struggling keep trying, changing how you use your eyes, you will get it eventually – and you will know exactly when you’ve got it! Next up is one for the boys. Don’t worry though, it’s not too naughty! If you like doing funky things like this also try out this cool eye trick which is one of the most popular on our website. All images copyright owned by respective owners. How did you do? Post your messages in the comments section below. You sure this really works? Haha yes they definitely work. Follow the instructions at the top of the page again and you should get there eventually. Although I think some people just can’t do it. Awesome when you see it if you can get there! I managed to get all 3. Took a little while for the first one, but the rest came easy after that. I couldn’t get the last image to come up when I clicked on it, it just kept coming back to the batman image, but I got it all the same. Sorry about that, I had put the link in wrong when I wrote the post. My apologies, I have now corrected it. Good work on managing all 3! This is pretty neat. Unfortunately, I could only see the Batman symbol. I tried the other two, but had no luck. I’m not sure why. I tried. I can do it it’s sooooooo cool! I feel like I’ve got a sixth sense!